West Australian Football Commission CEO Gavin Taylor has set an agenda for the review of football in Western Australia, announcing that the WAFC will be undertaking a major structural review of WA football and developing a new strategic vision for the football industry. “In the lifecycle of any sport it is very important to continually review and assess performance and structures to ensure they are relevant for today and also the generations of the future. Since the WAFC’s inception in 1989 it has experienced significant success and growth and we are committed to ensuring this continues,” Mr Taylor said. “We are taking a proactive and planned approach to reform the way we administer our sport to ensure that football remains successful and sustainable so that we can continue to foster its growth and development. 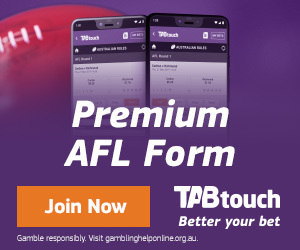 “Our focus is on ensuring the football system in WA operates in line with world-wide best practice so that we can ensure the health and success of the WAFL competition, community football, talent development, our AFL clubs and strong grassroots participation. We love footy and want to make sure it is in the best possible shape for future generations. “We also have a clear responsibility to provide talent pathways and quality competitions whilst also recognising the need for alignment and partnerships across all segments of the game. For this to be successful it is important that all levels of WA Football are involved in the review so that it is well-informed and strong recommendations can be made for the future development of our sport. “We want to ensure that football remains the number one participation sport in WA and provides the best opportunities for people to get involved in our game and remain life-long participants. “Being such an important project for WA football we are pleased to have been able to secure Boston Consulting Group (BCG) to work in partnership with the WAFC to deliver this project. BCG has both national and international experience reviewing sports, undertaking reform strategies and providing advice on effective governance. “The BCG team also has experience working with many sporting organisations across Australia and internationally, including the Australian Sports Commission and Football Federation Australia,” he said. BCG’s Perth office leader Alex Koch said the same world-leading strategy development skills required in the business world will be applied to the sporting arena. 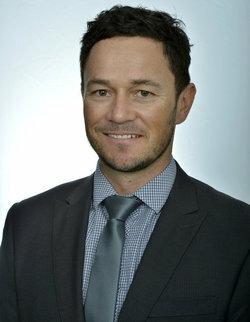 “We are constantly looking for opportunities to give back to our community and we are a sports-mad office – even more so since former West Coast Eagle Darren Glass joined our team. So we couldn't be more excited about supporting WA's most important and exciting sport,” he said. Outcomes of the review are expected in the first quarter of 2017. Why are you reviewing WA Football? This is a planned and proactive approach to enhance the success and sustainability of football both on and off the field. This is a once-in-a-generation opportunity for us to reform the way we administer our sport. We will be aiming to achieve a range of recommendations on how we can reform and improve while also setting a strategic vision for the football system and operational strategic plan for the WAFC. Who is Boston Consulting Group? The Boston Consulting Group (BCG) is a global management consulting firm with 85 offices in 48 countries. The BCG team has experience working with many sports organisations across Australia and internationally, including the Australian Sports Commission and Football Federation Australia. It is anticipated that outcomes will be determined in the first quarter of 2017. When will any changes be made? There will be a thorough and detailed process to implement any changes that are recommended from the review over a five year period that aligns with a strategic plan for the future of football in WA. Will this have an impact on funding for grassroots football? The structural review of football will consider the needs of grassroots competitions in determining the appropriate structures to support this critical part of our game. Reviewing football’s structure and strategic direction will place us in the best position to make the right decisions. We’re reviewing the whole of football to ensure we have our structure and funding right across all aspects of the game. Will there be major changes to the WAFL competition? The WAFL competition will form part of the review. We need to clearly understand the role the WAFL plays in the talent and participation pathway and how it aligns with community competitions. WA football stakeholders, including the WAFL, will get a chance to have their say and we will listen to their views before any decisions are reached. 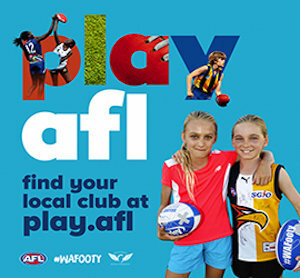 Our focus is on ensuring a healthy WAFL league, community football and strong grassroots competitions which are working together in partnership to deliver the strategic vision of WA Football. Are you undertaking this review to achieve a specific outcome or do you have an ideal model in mind? We do not have a pre-determined outcome and this isn’t about reverse-engineering a model. We have engaged international experts Boston Consulting Group to drive a methodical process with extensive consultation so that we can be proactive about setting up a sustainable and successful future for WA Football. How would you rate the current overall health of WA Football? WA Football is very healthy. We recorded the largest participation growth in Australia for the core areas of Auskick and Club Football following the official release of AFL census figures at the end of last year. 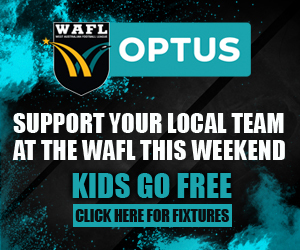 The WAFL competition is close with a high quality brand of football broadcast on commercial television by the Seven Network. Male and female community competitions continue to grow. Overall participation has exceeded 220,000, including 40,000 at Auskick level, who are the future of the game. Our initiatives in the Indigenous and multicultural areas also continue to break new ground and provide new platforms for participation in our sport.To ensure this success can continue for future generations, it is very important to continually review and assess structures.